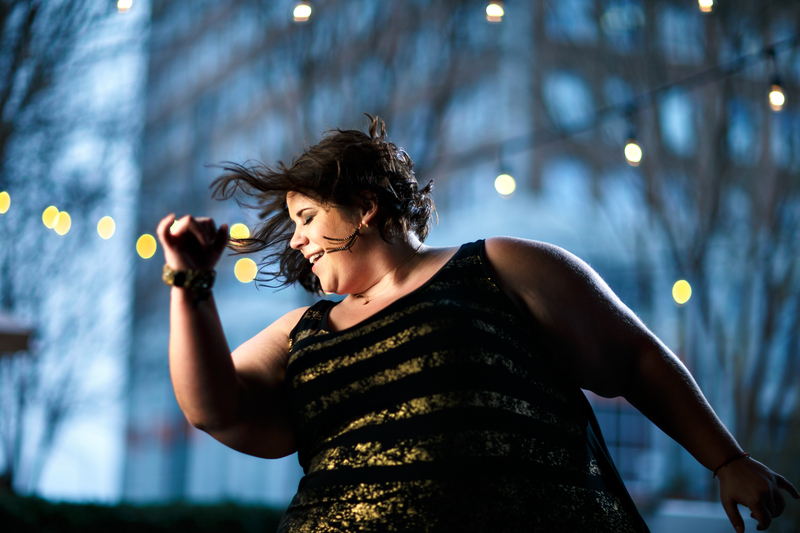 Whitney Way Thore’s plus-sized, inhibition-free dance moves propelled her into an internet sensation. That spurred her top-rated TLC reality TV show – and a platform that this Greensboro 31-year-old has used to spread the message that people should love themselves at any size. Whitney grew up as a dancer, but gave up her passion in college after becoming discouraged and depressed due to rapid weight gain as a result of polycystic ovary syndrome, an endocrine system disorder. After years of being unhappy, she decided to make a change. While working at 107.5 KZL, a local radio station, she decided to start dancing again. A coworker suggested that they make videos and call them “A Fat Girl Dancing.” In January 2014, her hip-hop routine to Jason Derulo’s “Talk Dirty,” went viral. “I think it’s finding the balance of – it’s not only about our appearance, but also about our self-worth, ” she says. Although she believes society is making strides in the right direction when it comes to body image – already in 2016 with plus-sized Barbies and Ashley Graham’s Sports Illustrated cover – she says there is still a ways to go. And Whitney’s in a position to help make that change. Her No Body Shame empire has expanded with a newsletter and a cruise to the Caribbean with Whitney. Her memoir, “I Do it With the Lights On,” will be released this summer. And – hot news for reality TV fans – she’s already filming season three of “My Big Fat Fabulous Life” right here in Greensboro, and it’s scheduled to premiere this summer. Whitney says she gets a lot of love from her hometown.